This guideline is a suggestion for congregations of the Christian Church. These guidelines are based on a process used by many congregations in several denominations and are designed to provide a grace filled experience for your congregation. Beginning the Journey : Basic and highly recommended resources for all in the process of becoming Open & Affirming. Contact Mark Johnston, Executive Director of the Open & Affirming Ministries Program of AllianceQ, at mark@disciplesallianceq.org. Mark will help you design a process tailored for your congregation. Download and read through Building an Inclusive Church: A Welcoming Toolkit 2.0, available at http://www.welcomingresources.org/welcomingtoolkit.pdf. Many of the steps below are described in more detail in the Toolkit. Form a core group of supporters, including LGBT persons, to guide your congregation through the discernment process. Inform the ministerial staff of your plans and ask for their support and participation. However, it is important that the process not be a clergy-led activity. It is important that the clergy can serve as pastors to the whole church throughout this process. Send some of your core group members to a Building an Inclusive Church Training. 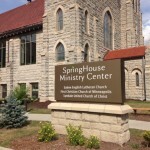 The schedule can be found at http://www.welcomingresources.org/communityorg.htm. Evaluate your congregation’s readiness to engage in the process (there are resources for this in the Toolkit). Plan your O&A process based on the needs of your congregation and the support of the leadership. Include study about inclusion, gender, and sexuality as well as time to hear and tell personal stories. Many resources can be found on the AllianceQ website under the Resources tab. See our page The Welcoming Journey for more guidance. And don’t hesitate to contact Mark Johnston at mark@disciplesallianceq.org for suggestions. Bring the plan to the official leadership body of your congregation (such as the church board, elders, or council) to engage their support. Covenant as a congregation to complete the O&A process. This may be included as part of a worship service or a congregational meeting. Engage your process prayerfully, evaluating and adjusting along the way. Appoint a task force to write an Open & Affirming statement that clearly specifies that persons of all gender expressions and sexual identities are welcome in the membership, leadership, and employment of your congregation. We suggest that this be part of an overall mission statement so that your congregation will not be voting only on the inclusion of persons of diverse gender expressions and sexual orientations. If less than 85 percent is supportive, stop and spend more time studying and building relationships. If 85 percent or more is supportive, proceed to the discussion of the Open & Affirming statement. Publish the suggested Open & Affirming statement and make room for discussion among your congregation’s members. Establish a clear decision making process prior to meeting. Will your congregation vote or will this be a process of reaching consensus? If voting, it is recommended that adopting the Open & Affirming statement require 85 percent or more of the vote. It is also recommended that there be at least three options for voting: Yes, I support this decision and I am personally supportive; Yes, I support this decision, but I can’t personally agree with this right now; No, I don’t support this decision. Similarly, if your congregation chooses a consensus process, there should be room for people to express their discomfort with the decision even if they choose not to block the consensus. Following the established process for decision-making, meet and adopt the Open & Affirming statement. The governing board of your congregation reviews policies concerning employment to ensure that they encourage applications from persons of all gender expressions and sexual identities and provide equal protections and benefits for all employees. Publishing the statement with AllianceQ, the General Church (via Disciple Digest/Disciple News Service), the Regional Church (via the regional newsletter), your congregation’s website, and in the local community. Proclaiming yourself an Open & Affirming setting through the use of the AllianceQ logo and the words “an Open & Affirming Congregation of the Christian Church (Disciples of Christ)” on your website and printed materials such as Sunday bulletins and newsletters. Regularly revisiting and deepening your commitment to being a more inclusive community of faith through engagement with communities and persons who have traditionally been marginalized and excluded from the church and in society. Including AllianceQ in your regular mission budget. along with a copy of your Open & Affirming statement and your employment non-discrimination policy, if separate from your Open & Affirming statement, to mark@disciplesallianceq.org. And don’t forget to celebrate in worship and fellowship your new commitment to inclusivity and justice as an Open & Affirming setting of the Christian Church (Disciples of Christ).